Ashford Borough is home to an extraordinarily rich and significant stock of heritage assets which provide important and wide-ranging evidence of the rural history of this country and its tapestry of rural settlements. 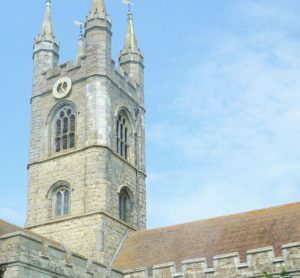 The Borough’s heritage is extensive too, with more listed buildings than any other in Kent, and with more grade 1 and II* listed buildings than other districts also. This Heritage Strategy describes the rich history of Ashford Borough and its broad wealth of heritage assets. In doing so it responds to, and is compliant with the requirement for a ‘positive strategy for the conservation and enjoyment of the historic environment’ promoted by the NPPF. It sets out how the historic environment can play an important role in delivering regeneration in the Borough, particularly supporting the objectives of the Local Plan for the regeneration of Ashford Town Centre, and the role of heritage in growing the tourism offer of the Borough. Having regard to the Government’s localism agenda, the Strategy promotes an agenda of further understanding and engagement with the historic environment, where the public play a leading role in delivering the outcomes of the strategy and shaping where they live, work and visit. The borough’s attractive natural environment, including two Areas of Outstanding Natural Beauty and the successful Ashford Green Corridors initiative are widely recognised. However, the historic environment is equally one of the Borough’s most valuable assets, and one which can and should play an important role in its future development. The Council is inviting you to have your say on the Ashford Heritage Strategy from Friday 7th July 2017 until midnight on the 31st August 2017. You can respond to this consultation using any one of the options presented below.